Trump. Brexit. The alt-right. It’s increasingly apparent that old political notions—believed to be consigned to the dustbin of history—are now resurrected. The neonationalist, anti-globalization, and anti-establishment attitude engulfing the United States and United Kingdom hints suspiciously at a yearning for national sovereignty. 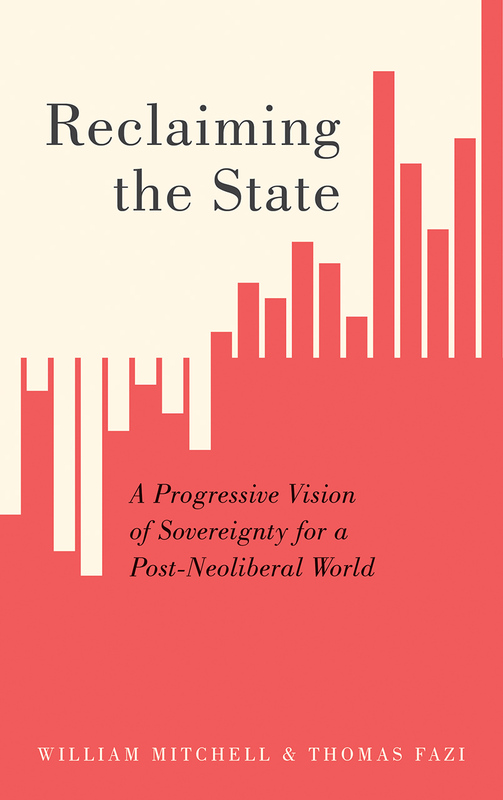 Reclaiming the State offers an urgent and prescient political analysis and economic program for the Left who are strategizing for these uncertain times. Many of our assumptions—about ideology, democracy, trade, and globalization—are being thrown into doubt, deposed by populism, nationalism, and racism. In response to these challenging times, economist Bill Mitchell and political theorist Thomas Fazi propose a reconceptualization of the sovereign state as a vehicle for change. They offer a progressive view of sovereignty based not on the demonization of the other, but as a way to bring the economy back under democratic control. With nationalism gaining support across the United States with each passing week, Reclaiaming the State provides innovative ideas to mobilize and reenergize a tired, divided Left.